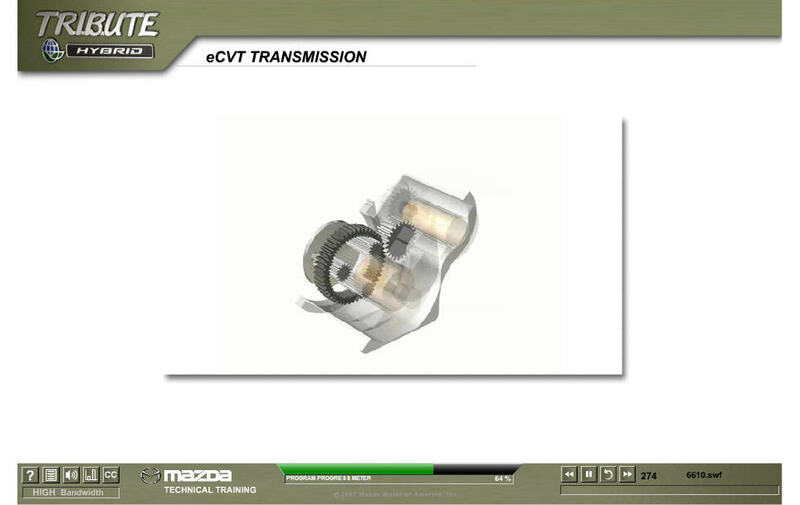 When Mazda needed to introduce the Tribute Hybrid to a large and geographically diverse force of Technicians and Service Advisors, they turned to piXvfm for an online technical training solution that had the power to inform, as well as entertain. 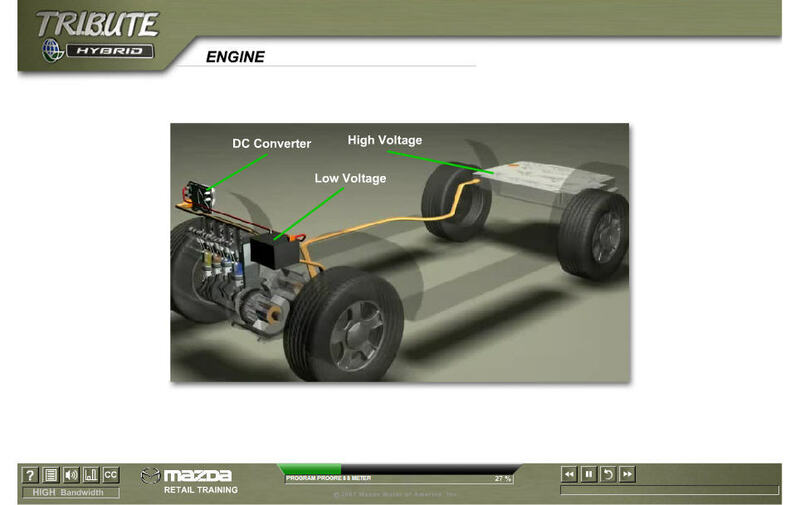 Through live video, graphics, animations, and still photography, this 60-minute interactive program focuses on the Tribute Hybrid's unique hybrid technology, operating characteristics, special service procedures, and safety. Especially unique was the 3-D graphic model we built to animate the various components of this vehicle.